Ariana Grande has released a new song and music video from her upcoming album which quickly sailed to No. 1. 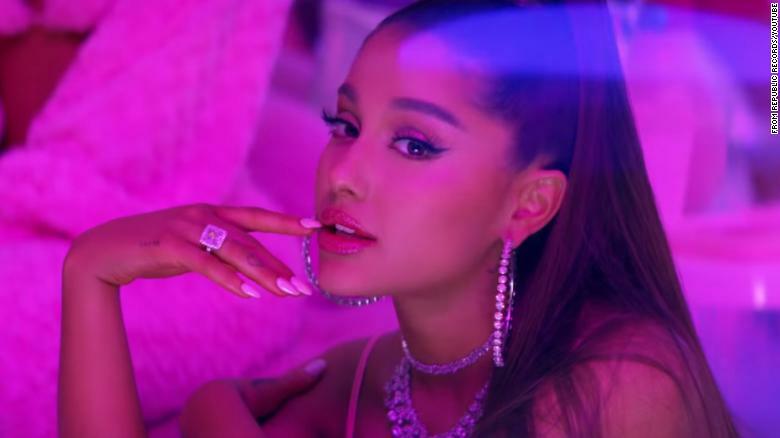 The song, “7 Rings,” launched as Grande’s second Hot 100 No. 1, and second to start at the summit, following “Thank U, Next,” which debuted atop the chart in November and led for seven total weeks, according to the Billboard Top 100. Sampling “My Favorite Things” on the new track, most of the lyrics from “7 Rings” are about her wealthy lifestyle, easy living, and her life since recovering from her hard times early this year. Grande’s lyrics briefly reflect on the tough periods in her life and how she’s moved past it; including the terrorist attack during her concert and the passing of her rap star, ex-boyfriend, Mac Miller. “7 Rings” is one her most hip-hop sounding tracks to date, with full attitude and rapping during the middle-eight. The singer has taken this song in a new direction. Giving us a new feel of what her upcoming and highly anticipated fifth studio album “Thank u, next,” will consist of. It is very different from any song Grande has put out before. “7 Rings” is an empowering female anthem in which Grande makes sure to point out that relationships are not the one thing that makes a girl happy. She reinforces that she is rich and there is nothing stopping her. The vibe of the song makes her audience feel as if they can conquer anything with enough will power. Grande is expected to drop her full album on Feb. 8.